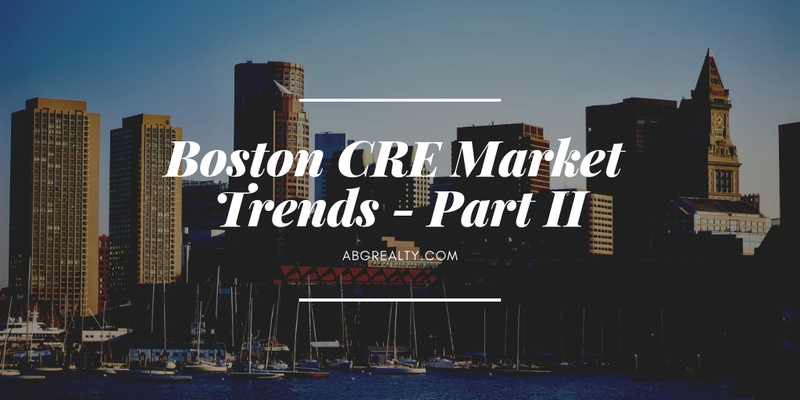 As the first quarter of 2019 winds down, it is a good time to evaluate Boston CRE market trends. What has developed so far and what can we expect for the remainder of this year? Here are a few things that we have noticed in the Greater Boston area. The dominance of online retailers is one of the most obvious trends. From giants like Amazon to specialty retailers like Wayfair, it seems more and more people are shopping online rather than at physical storefronts. This shift has led to store closings for traditional brick and mortar stores. However, in a somewhat surprising twist, some of those online retailers are considering strategically placed physical locations. We can’t help but think that this is in response to the desire for consumers to receive products more quickly than the free shipping options offered by many. In fact, many stores now offer the option to buy online and pickup in store, as a way to appeal to the mixed and modern customer base. It will be interesting to see how this continues to play out in 2019. As the Boston commercial real estate market continues to integrate and adapt technology, a common goal is the personalization of experiences. How can landlords adapt leased spaces to tenants’ specific needs? How can businesses offer products and services that cater to customer preferences. As businesses strive to differentiate themselves, technology and personalization are key factors in doing so. Although retail and manufacturing spaces are going through change, the office space market has been quite stable. This actually makes perfect sense given that all businesses need office space, regardless of whether their products and services are sold online or in storefronts. Office space is a constant, making it less susceptible to dramatic shifts in demand. However, what we are seeing are new office space models such as shared spaces. Tariffs and rising interest rates are playing a major role in the cost of construction for commercial real estate in and around Boston. This impacts both new construction and older buildings seeking to modernize and better compete. As investors evaluate construction opportunities, the purchase of properties, and development plans for existing properties, construction costs are a critical consideration. By using the valuable market insights from the first few months of this year, you can better adapt and adjust to the many changes that will undoubtedly occur over the remainder of 2019. At ABG Realty, we are experts on the Greater Boston market and are ready to put that knowledge and experience to work for you. Contact us for all of your commercial real estate needs.